Pro Row Party 11 - 11:30 am: Saturday - ATV Pro Row / Sunday - Bike Pro Row. Camping is for racers, their familes, and AMA members only. No fan camping permitted. This event is co-sanctioned with our friends at the New York Off-Road Association (NYOA). 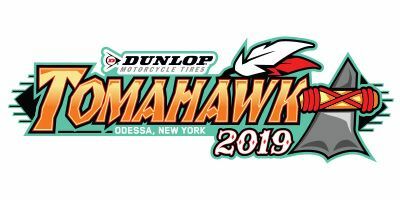 After its addition to the GNCC schedule in 2015, Tomahawk became an instant favorite for many riders.The facility offers up large fields with plenty of room for parking and camping alongside the usual GNCC pro pits, Vendor’s Row and the track itself. The track is wildly popular among racers with its fun, flowing trails, fast paced grass track sections and more. Elevation changes aren’t much of a factor here, as the property is relatively flat with some gently rolling hills; so don’t expect any steep hillclimbs. The soil here is a nice black dirt similar to what we see at Unadilla, but not as loamy as Unadilla. With more of a clay base to the soil, it can get a little slick when it’s wet, but a little bit of moisture will only make it better. 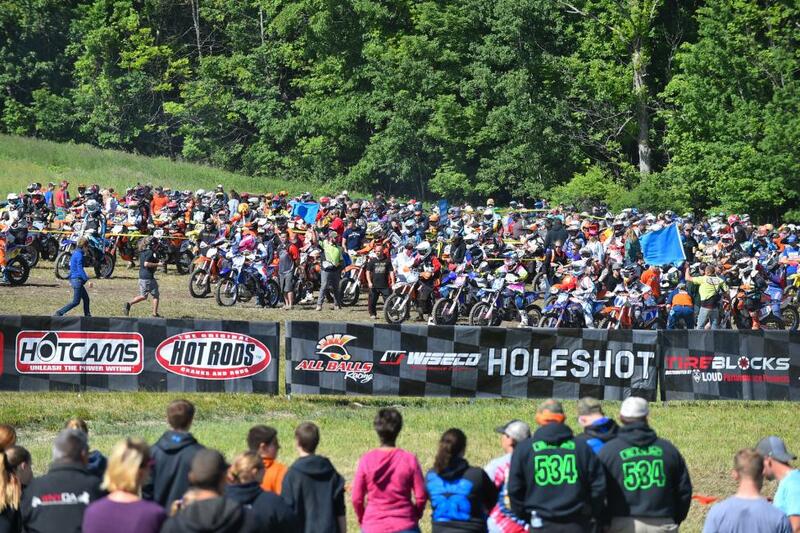 Rocks aren’t a factor here either, not even the loose rock we see here and there at Unadilla. You may see some exposed roots as the race weekend wears on, but that’s pretty standard for GNCC racers. All in all you can expect to be in for a real treat at the "Tomahawk". 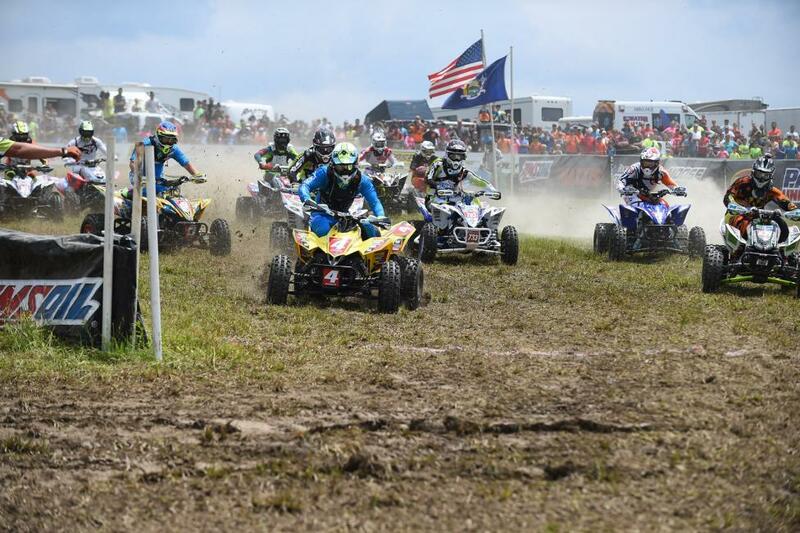 Its rave reviews on the course’s fun factor are no lie, and the GNCC Racing Nation will get to experience it for themselves. Watkins Glen State Park is the most famous of the Finger Lakes State Parks, with a reputation for leaving visitors spellbound. Within two miles, the glen's stream descends 400 feet past 200-foot cliffs, generating 19 waterfalls along its course. The gorge path winds over and under waterfalls and through the spray of Cavern Cascade. The gorge trail at Watkins Glen State Park is open; however access to the Gorge Trail/Waterfalls from the main entrance will remain limited due to the on-going construction project. As of 5/26/2018 the main entrance is reopened after construction. Our wineries are open all year and contrary to popular belief, for those that are visiting to enjoy and learn about our wines, the best time of year to visit the wineries are doing the slowest months of January-April. That is not to say that you aren’t welcome to visit any time of the year, but it is during the slower months, especially on weekdays, that the wineries are slowest, with senior staff at the tasting bar, making for a quietly personal experience. Winery operating hours vary, but the hours of the day that most wineries are open most of the time is 11am – 5pm. Watkins Glen International was established on the streets of Watkins Glen, NY in 1948 and is North America’s premier racing facility. The Glen has a long and storied past from its Formula 1 roots to its position as New York’s only home to the NASCAR Sprint Cup Series.